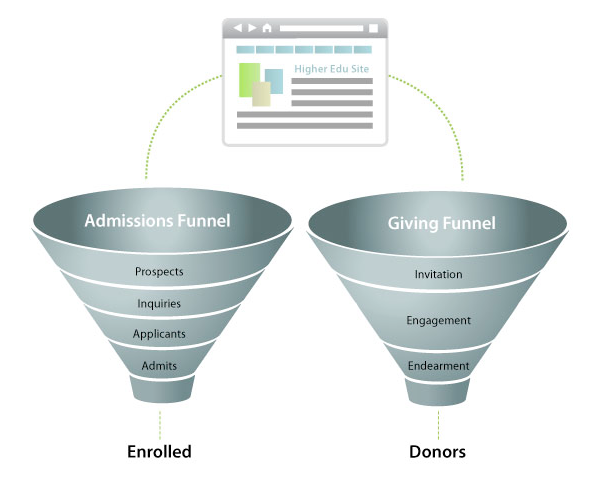 In higher education, a prospect converts to an applicant, an applicant converts to an enrolled student, a student becomes an alumnus, who becomes a donor. Every college and university is looking for conversions. In every aspect of your inbound plan, think about how you lead a prospect closer and closer to the desired conversion. What is the intended behavior change for each piece of content? How does each step lead to the ideal result? Plan the digital journey, and then create the content around it. Measure the effectiveness of your top communication pieces, and then measure them again in six months. Has that number gone up? How can you improve?